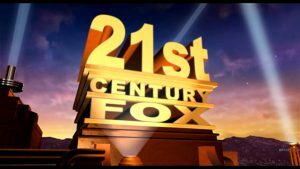 Twenty-First Century Fox (NASDAQ:FOX) has finalized its $14.8-billion cash bid to acquire pay-TV giant Sky broadcasting. Fox reached a preliminary accord last week to buy the nearly 61 percent of Sky that it does not own. Fox announced Thursday that it had finalized an agreement with independent Sky directors to pay 10.75 British pounds for each outstanding share of Sky. The bid represents a 40 percent premium over Sky’s closing price last week, before Fox announced its preliminary bid. Sky launched more than 25 years ago and has become one of Europe’s leading TV broadcasters. Sky has exclusive rights to soccer and other sporting events and also sells broadband Internet service, an online streaming plan and a Sky-branded phone service. The satellite TV provider now has 22 million subscribers in Britain, Ireland, Germany, Italy and Austria. Fox expects the deal to be complete by the end of 2017. Sky stockholders would receive a special dividend if the deal is not completed by the start of 2018. However, some Sky shareholders are not on board with the plan. They have protested the takeover, saying the amount offered by Fox is too low and does not represent Sky’s true value. The deal is sure to face a rigorous regulatory review process in Europe. Regulators must determine whether the proposed consolidation of Sky would give the Murdoch family too much control over media in Britain. The Murdochs, through publishing company News Corp., owns a number of influential newspapers in Britain. While News Corp. and Fox are separate entities, the Murdoch family controls both by holding 39 percent of the voting shares. The company abandoned an earlier attempt to acquire Sky five years ago after a cellphone hacking scandal severely damaged the reputation of Fox. Reporters and operatives for the company’s London tabloids were revealed to have hacked into voice mail messages left on cellphones for members of the royal family, celebrities, and some crime victims. Fox, then part of News Corp., was forced to walk away from the transaction. James Murdoch, who had been in charge of Fox’s British division when the scandal occurred, is now chief executive of all of Fox and serves as chairman of Sky.